It amazes me sometimes that these tiny corner greengrocers can survive in today's world. You have big-chain supermarkets coming at them from one side, with their sprawling facilities and low prices; you have local supermarket cooperatives, which have allowed independent supermarkets to get the buying power of larger chains, which lowers their prices; and you have online ordering systems like Peapod, ShopRite from Home, Amazon Fresh, and Fresh Direct. Yet stores like California Fruit hang on. Remember when, in the 1970s and 80s, the big chains were going to take over the entire industry? Guess what -- that hasn't happened. That's partially because of the two reasons I mentioned above, but it's also due to the quality of the local store. A mediocre local store simply wouldn't survive against a strong local store, but a strong local store can actually coexist with a strong chain store. That's a possibility that no one thought of back then. Crain's NY Business did an interesting article on exactly that topic a while back. But here we're looking even more local! Having said all that, I have no idea whether California Fruit is any good. 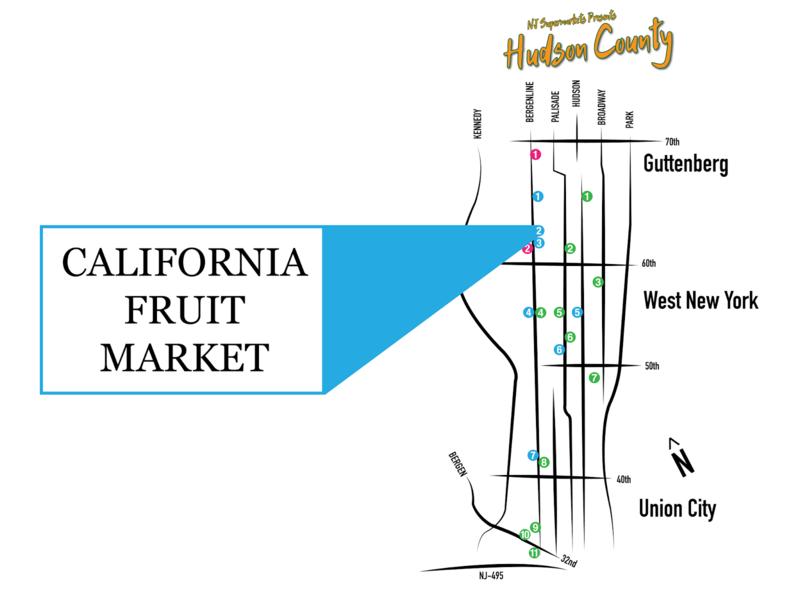 Although I didn't go in, the California Fruit Market looks to be an old-fashioned, neighborhood greengrocer. 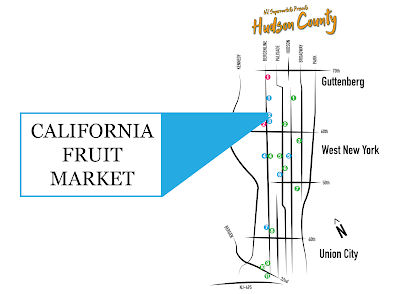 Typically these stores buy direct from the producers, or from wholesale operations like the Hunts Point market, rather than third-party distributors like Frank Donio Produce (supplier to Wakefern and others), which allows them to have lower prices.